I take TV watching very seriously. Yesterday I did something I've only done once before. * I emailed a television station/channel regarding my dismay/anger because they took off one of my shows (Access Hollywood Live). Yeah, I even said "my shows" in the email just like I was 80 years old. Sure, I felt a little ridiculous typing the email. I mean I get it, there are a lot of other emails I could send filled with my outrage about injustice in the world. My particular beef (again with the 80-yr-old speak) was with my local Fox affiliate and their programming decisions. I know even as I type this, I kind of can't believe I've become one of those people, those fans that sends angry emails to stations/channels. But I take TV watching very seriously and my love runs deep. *I emailed the programming department a decade ago when they took off reruns of Thirtysomething, which I personally think should just always be on somewhere like old I Love Lucy shows. I've always loved television, like a lot. Some people might say I've loved it a little too much, but I don't hang out with those some people. As a kid, my Saturday mornings were spent with cartoons, my summers with soap operas and Sale of the Century. I grew up wanting to be a Solid Gold dancer or a detective that looked like Lonnie Anderson or Lynda Carter from Partners in Crime (anyone remember that show?) or a cruise director like Julie on The Love Boat or marry into a family like the Ewings from Dallas. Okay, maybe those "some people" are right, I might have watched a little too much and loved it a little too much. Pop culture on TV helped raise me. It was my entertainment and my escape. It was my routine and stability in a somewhat unstable home. In middle school, I came home everyday and I poured myself a tall glass of fruit punch, grabbed a Little Debbie snack cake and plopped onto my spot on the couch in front of the TV. I turned the channel (literally because duh, we didn't have a fancy remote control) between Guiding Light, General Hospital and Santa Barbara. Then I'd get out my homework and do it while I watched Oprah at 4 p.m. and Donahue at 5 p.m. I used to dream about being a caller on Donahue's show begging for help for my crazy mother, but I never found the phone number (duh(again), no Internet). Years later, I still sort of have routines around TV shows i.e. watching Access Hollywood Live while I make Wade lunch. But now what will I do? I tell you all of this so you can begin to understand just how deep my love and obsession appreciation for TV really is. These days there are so many TV shows. My TV habits have changed. I'm less self-help, more entertainment. I'm less must-see TV shows each week, more binge watching seasons for weeks. Even though I am outraged about my daytime programming, I'm sure I'll find a new one to watch. And this time of year is really special to us total freaks TV lovers. Love this show. It's like entertaining therapy for Tim and me. It's sooooo good. Scandal Even though binge watching the first two seasons made me question our government and hate everyone, I love this show. This is another one that Tim and I watch together. New Girl I love the whole cast of this show. Funny and silly and sweet. Just all around good fun. 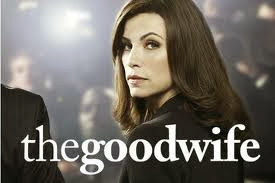 The Good Wife We've watched this one since the beginning and love it. It is smart and not too heavy on the violence or romance so it's perfect for us. Breaking Bad, duh, the most talked about show this week. I watched the first episode of the first season the other night and was sufficiently disturbed. The Mindy Project It looks funny and I like funny. Homeland Angela Chase! I mean Claire Danes is in this and of course is a critic's darling. This is one I want to binge watch for sure. Veep It's supposed to be funny and smart and I love Julia Louis Dreyfuss. I watched five minutes of one episode and loved it, but I fell asleep. Nothing against the show, the exhaustion just won that night. Orange is the New Black I just want to be cool and this show is what a lot of the cool kids are watching. Yup. Glee It doesn't make sense because I love musicals, I love TV and I love celebrity guest stars. I don't understand why I don't like it. Revenge I got behind in watching and felt too much pressure to catch up. It was good, but it just didn't work out. My anxiety issues and overactive imagination simply will not allow me to watch these shows. I could go on and on and on. I didn't even cover new shows starting this season, shows like Modern Family that I'm just kind of over, mid-season shows like Mad Men and Dallas and so.much.more. But what about YOU? What are you watching? What premieres are you looking forward to? Just for fun, remember when I went to THE Southfork Ranch? Checked it off my bucket list and fulfilled a childhood dream when I was in Dallas last year. I'm a tv nut, too. I can't watch it nearly as much as I want to anymore, but when I have some time to myself (ha), I'm always watching something. Something DVR'd or Netflix'd. Also, I love Glee and I'm trying to get into Scandal. Lately, it's been all Downton Abbey and Project Runway. Ha! I love TV that much too. Right now I'm driving my family crazy because I'm watching all of the Dr. Who's. I'm not sure why it bother them though. I don't make THEM watch. But every time I go watch one they are rolling their eyes. Clearly they do not understand.